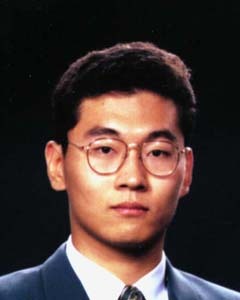 Biography: Young Cho graduated from UC Berkeley with a bachelors degree in Computer Science. While attending Berkeley, he was in a research project group called NOW ,Networks of Workstations. From July of 1996 to August of 1999 he worked as an engineer/programmer at Myricom, Inc. Myricom is the main network interconnect technology provider for the majority of the fastest clustered computers in the world. He took a leave of absence from Myricom after three years to return to academia. He began his Masters program in Computer Engineering at UT Austin in Fall of 1999. By Spring of 2001, he completed his Masters of Science in Engineering from Electrical Computer Engineering department while working for UT Research Laboratory Applied Research Laboratory in the University of Texas at Austin. Then he moved to Los Angeles to attend University of California, Los Angeles for the doctorate degree in Electrical Engineering under his advisor William Mangione-Smith. In June of 2005, he completed his Ph.D. on the dissertation topic of Advanced Computer Network Security. He then came to Washington University in St. Louis as a Visiting Assistant Professor in Computer Science Engineering department. On July of 2007, he leveraged all of his prior expertise to independently start a technology company, Open Acceleration Systems Research, specializing research and development of various high-performance applications using commodity-off-the-shelf (COTS) components. He is also a post-doctorol scholar at Networked & Embedded Systems Laboratory (NESL)of UCLA. BA in Computer Sciences, UC Berkeley, 1996. MSE in Electrical and Computer Engineering, UT Austin, 2001. PHD in Electrical Engineering, UCLA, 2005. Research Interests: Young Cho has background in the areas of embedded systems, computer architecture, and computer networks. His recently research includes high-performance image compression, high-performance IPSec accelerators, dynamic thermal feedback control and accurate benchmarking of modern processors, and sensor network localization and time synchronizations. 1 "HIGH-PERFORMANCE CONTEXT-FREE GRAMMAR PARSER FOR POLYMORPHIC MALWARE DETECTION," International Patent No. WO2006113722, Published on October 26, 2006, Inventors: Young H. Cho and William Mangione-Smith, Applicant: University of California. 2 "METHOD AND APPARATUS FOR DEEP PACKET INSPECTION," International Patent No. WO2006031496, Published on March 23, 2006, Inventors: Young H. Cho and William Mangione-Smith, Applicant: University of California. 3 "PROGRAMMABLE HARDWARE FOR DEEP PACKET FILTERING," International Patent No. WO2005104443, EP1738531, Published on November 3, 2005, Inventors: Young H. Cho and William Mangione-Smith, Applicant: University of California.